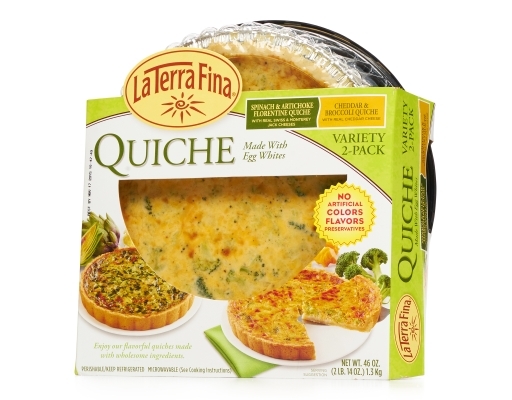 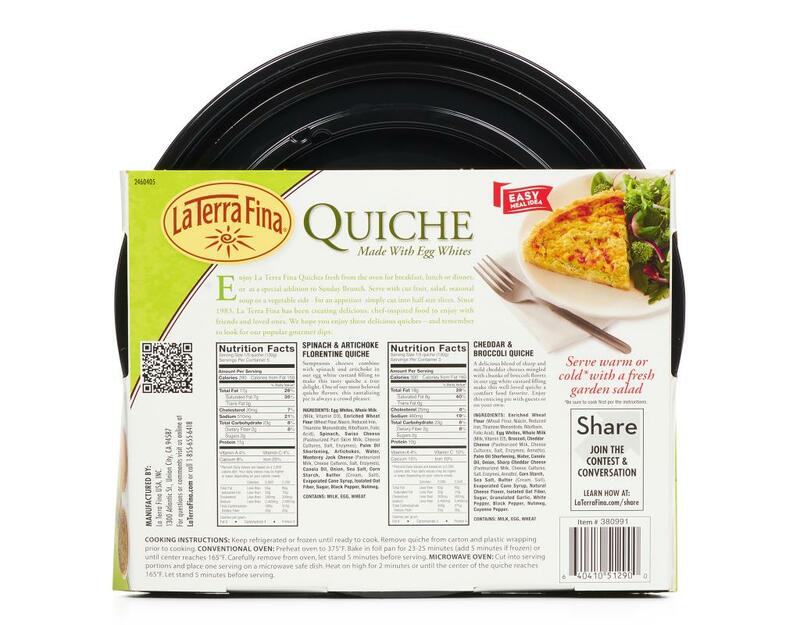 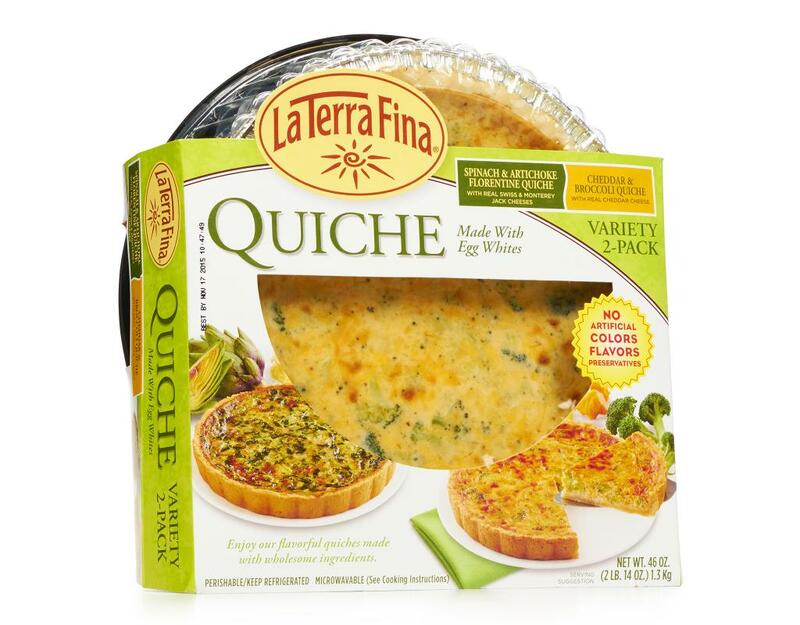 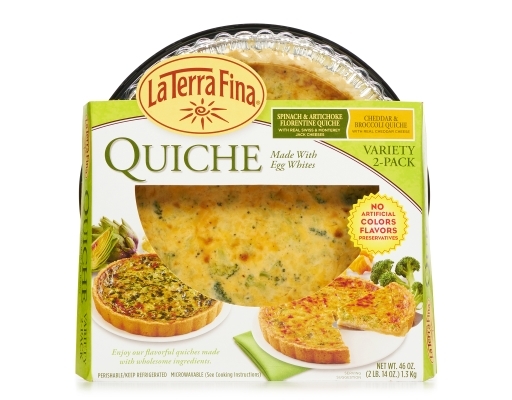 Cheddar & Broccoli Quiche – A delicious blend of sharp and mild cheddar cheeses mingled with chunks of broccoli florets in our egg white custard filling makes this well-loved quiche a comfort food favorite. Enjoy this enticing pie with guests or your own. 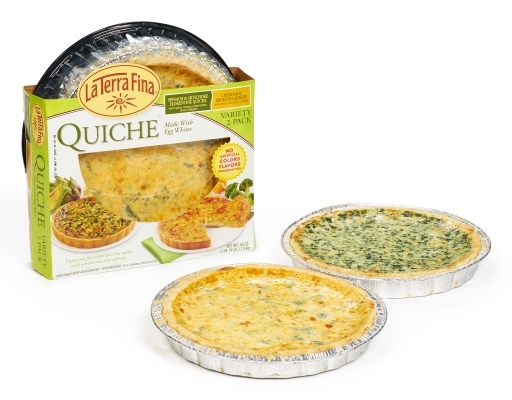 Spinach & Artichoke Quiche: Egg Whites, Whole Milk (Milk, Vitamin D3), Enriched Wheat Flour (Wheat Flour, Niacin, Reduced Iron, Thiamine Mononitrate, Riboflavin, Folic Acid), Spinach, Swiss Cheese (Pasteurized Part Skim Milk, Cheese Cultures, Salt, Enzymes), Palm Oil Shortening, Artichokes, Water, Monterey Jack Cheese (Pasteurized Milk, Cheese Cultures, Salt, Enzymes), Canola Oil, Onion, Sea Salt, Corn Starch, Butter (Cream, Salt), Evaporated Cane Syrup, Oat Fiber, Sugar, Black Pepper, Nutmeg. 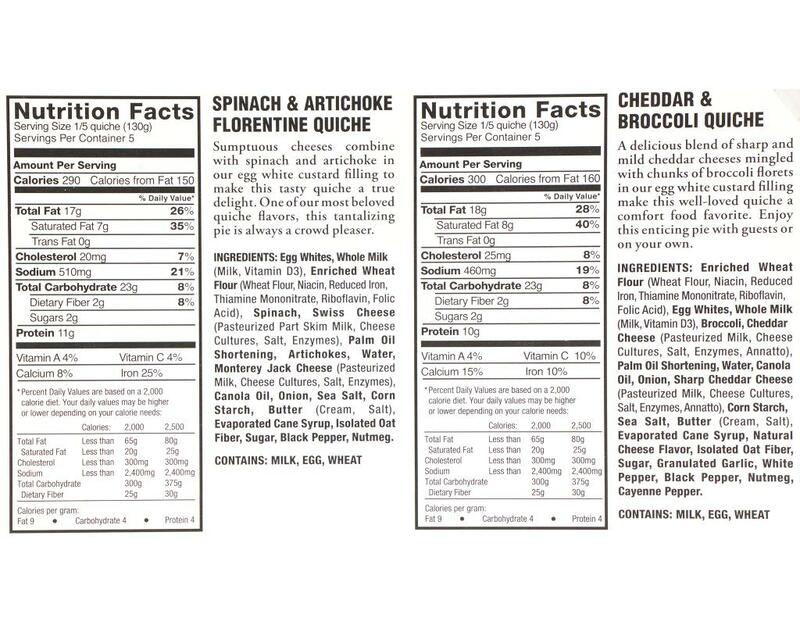 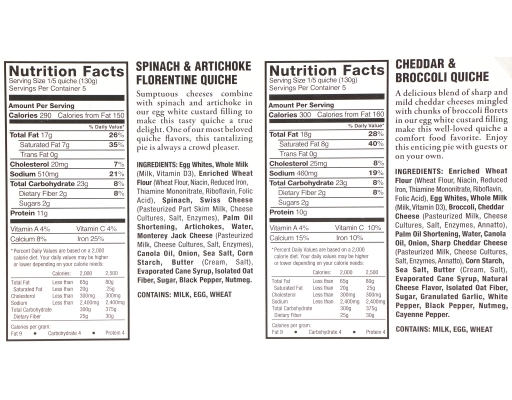 Cheddar & Broccoli Quiche: Enriched Wheat Flour (Wheat Flour, Niacin, Reduced Iron, Thiamine Mononitrate, Riboflavin, Folic Acid), Egg White, Whole Milk (Vitamin D3), Broccoli, Cheddar Cheese (Pasteurized Milk, Cheese Cultures, Salt, Enzymes, Annatto), Palm Oil Shortening, Water, Canola Oil, Onion, Sharp Cheddar Cheese (Pasteurized Milk, Cheese Cultures, Salt, Enzymes, Annatto), Corn Starch, Sea Salt, Butter (Cream, Salt), Evaporated Cane Syrup, Natural Cheese Flavor, Isolated Oat Fiber, Sugar, Granulated Garlic, White Pepper, Black Pepper, Nutmeg, Cayenne Pepper.